What Ever Will You Do If Your Kid Gains The Freshman 15?! Asks one writer, "What should you say to your college kid when he or she comes home for Thanksgiving having all too clearly gained the notorious Freshman 15?" The answer, obviously, is nothing. A parent should not mar a child's homecoming by commenting on her weight gain — especially given that she's surely already aware of it, already living in what is often a hotbed of body anxiety and disordered behavior, and probably self-conscious. What a parent should do instead, says the Washington Post's Jennifer LaRue Huget, is model healthy behavior and provide healthy options...although the truth is, to someone hyper-sensitive, even these benign things can be taken as silent reproaches. Another question: should the Freshman 15 — which, as the author points out, is actually more like 5 — really be a major concern? In a time when eating disorders are on the rise and colleges are promoting weight loss at any cost, is this still Public Enemy #1? Which is not to say people don't put on some weight in college — plenty do — but as the author points out, most of these individuals lose the weight or, more importantly, find a healthy diet for themselves — and, in any case, why is 5 pounds a tragedy in and of itself? 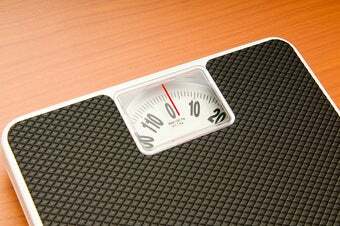 If someone is disordered, depressed, has struggled with weight a great deal, put on or lost a great deal, that's one thing — but weight gain in itself, by definition common, is not something to make a loaded issue. The holidays are stressful enough without this stuff.